Welcome to the classified ad section of the SENTOA website. 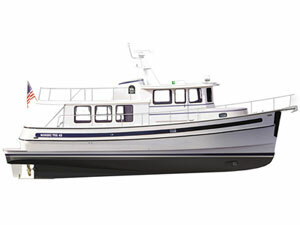 Any Nordic Tug owner or factory-authorized Nordic Tugs dealer may advertise a Nordic Tug for sale on this web page. There is no charge for the ad and it may run as long as necessary to sell the boat. To place a Nordic Tug for sale ad, complete our Ad Request Form. 332 Nordic Tug 32s were built between 1995 and 2010 (the NT 34 arrived in 2011). There have been many configurations over the years. 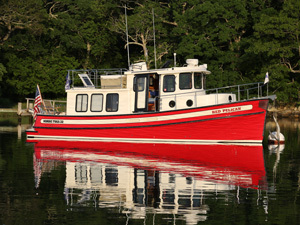 To help prospective buyers of Nordic Tug 32's, thirty-two owners shared specifications of their tugs. A spreadsheet (Excel) listing this data is available for download here. Sea Turtle has been well taken care of, looks like new and is ready to cruse. Has 6BT 270Hp Cummins; 1700 hrs; perfect shape. Every option, SSB, ESI fuel polisher, sat TV, bypass oil filter to 1 micron, the options list goes on and on. Do not have a broker yet so you could save some money. Copyright © 2012 SENTOA • Last Update April 25, 2019 • Questions? Contact the SENTOA Officers.